Right about now I am missing the beaches of Tulum – as I just got back into town recently from an amazing trip to Mexico. I wish I could live on vacation every day – seriously! Who doesn’t? Well, today I want to share a way you have your own “staycation” and embrace the “vacay every day” spirit all Spring and Summer long. 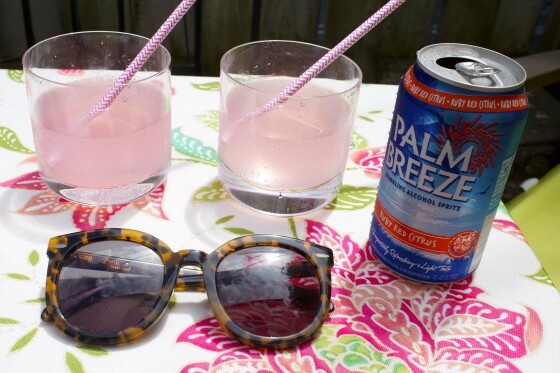 I know that I plan to do so quite often along with the help of Palm Breeze. One of the best parts of being on vacation is relaxing and spending time with those that mean the most to you – whether they be friends, significant others, family or all three (or even a solo trip by yourself). 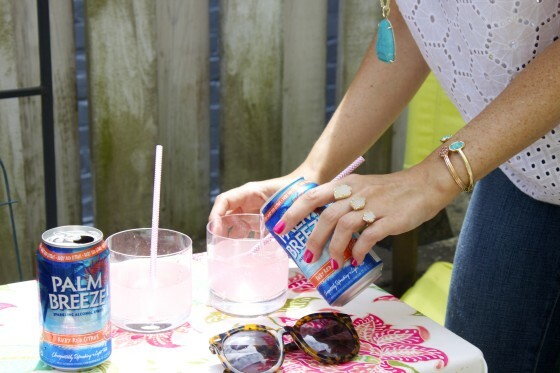 AND one of my favorite ways to do this and keep the vacay spirit alive even while home is to host everyone in my back patio – with drinks, a cookout and good music. 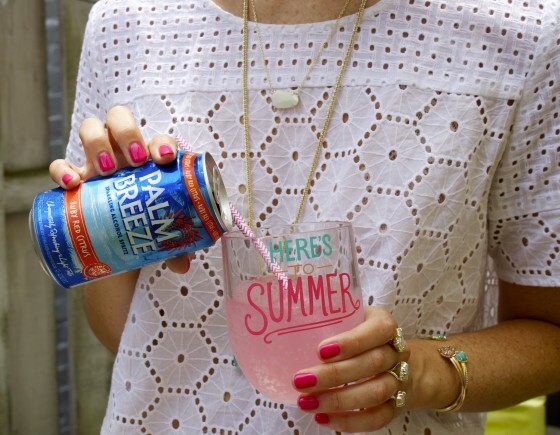 Palm Breeze is the perfect addition to this – it comes in two flavors – Ruby Red Citrus and Pineapple Mandarin Orange. My personal favorite is the Ruby Red Citrus. It’s light, refreshing and sparkling in nature. It tastes of citrus and grapefruit and is perfect for an afternoon cool-down as the warmer days approach. I also recommend serving it with ice! It makes the perfect drink for guests who want something to quench their thirst and also perfect for afternoons full of magazines, lounging and sunshine (by yourself or with company!). How do you staycation? 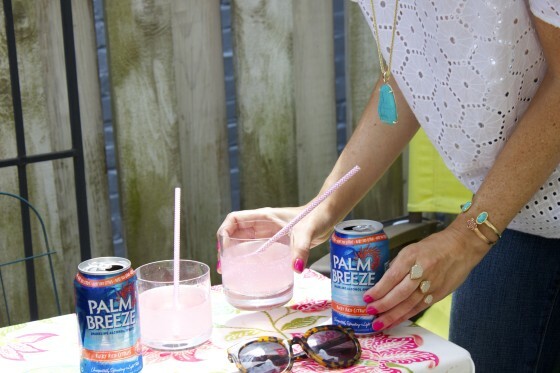 Consider adding Palm Breeze to the mix and share with me below! 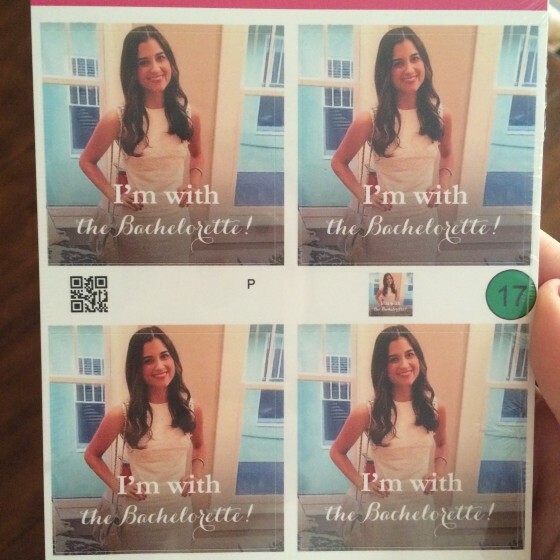 If you’re reading today’s post, I hope you caught up on my Bachelorette “Welcome Bags” post (and hangover kits!) 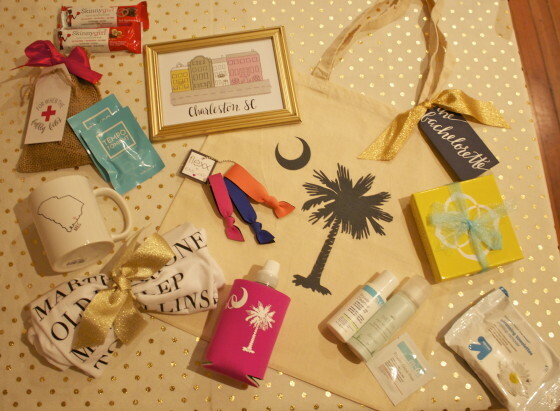 + Part One of my Charleston Bachelorette Party Guide. I’m back now with the long-awaited part two deets! 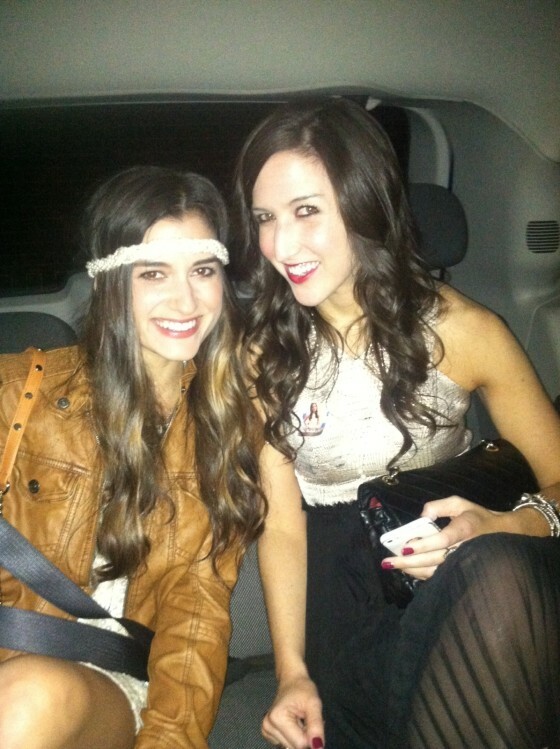 After we finished up our blowouts at Tease on Saturday afternoon, we headed back to the house to get ready for dinner. 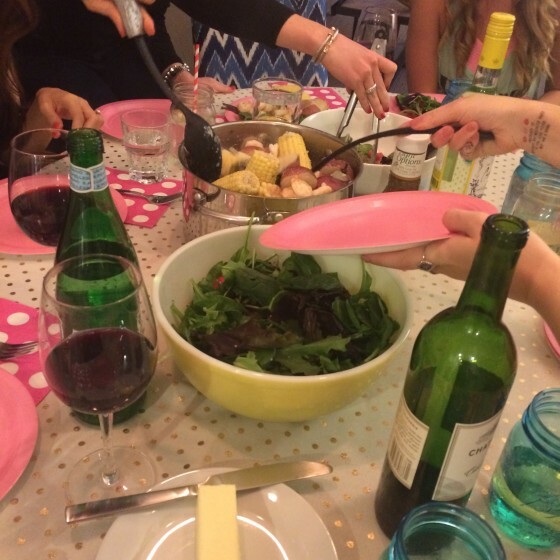 We had bubbly, cocktails and played a few games – notably, “What’s in Your Purse” by WPD. 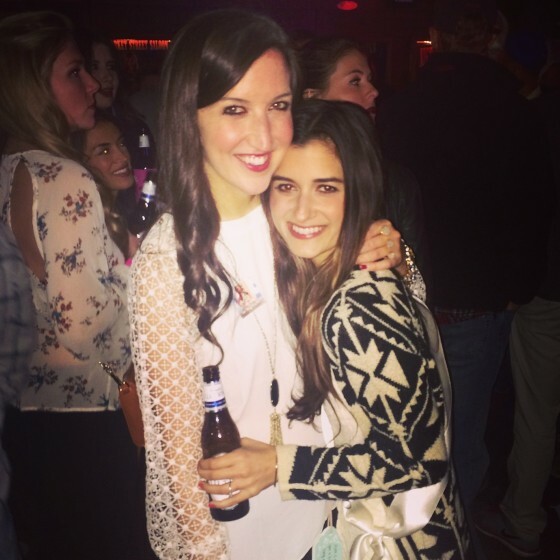 A common bachelorette weekend trend is everyone wears black (or a color) and the bride goes out in white. Well, I wanted to put a twist on this trend and have a theme that my sister would enjoy too. The theme for the night was Roaring 20’s (fitting for Charleston!) 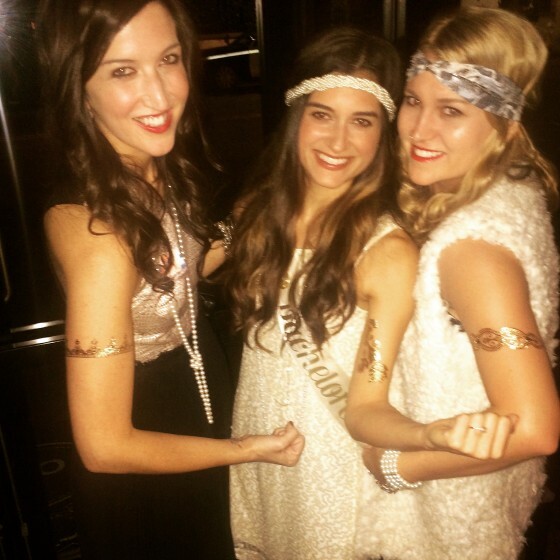 – so think Great Gatsby-ish, flappers, headpieces and yes, we had long strings of pearls to wear out. The only rule was that you couldn’t wear white but everyone dolled up in dresses, sequins and all things 20s. We also wore flash tattoos on this evening and more stickers. After drinks at the house, we headed to dinner at the delicious O-Ku Sushi in Downtown Charleston. My sister loves sushi and it was the perfect atmosphere for a large group of girls – delicious sushi items to split, crafted cocktails, gorgeous decor and beats! My sister’s last “date card” surprise was given to her as she woke up on Sunday morning. She thought we were just going to have a big brunch and everyone would head home, but we still had more fun in store for her. To give you the background on this “surprise” (as not all brides might enjoy a workout on their bach weekend) – Megan had always told me how fun she thought a yoga class would be on a bach weekend (YEARS ago) and well, I never forgot that little comment. Flash forward 5 years and her and I have both become addicted to barre (seriously, we never miss it!) so I couldn’t imagine a weekend without it somehow included. She woke up to another bag (Wifey bag sold here) full of goodies including Pointe Studio barre socks for her and all the girls, Emi Jay “See You at the Barre” tank, a new Lululemon sports bra, AND a tutu to wear to class (a la Target kids). 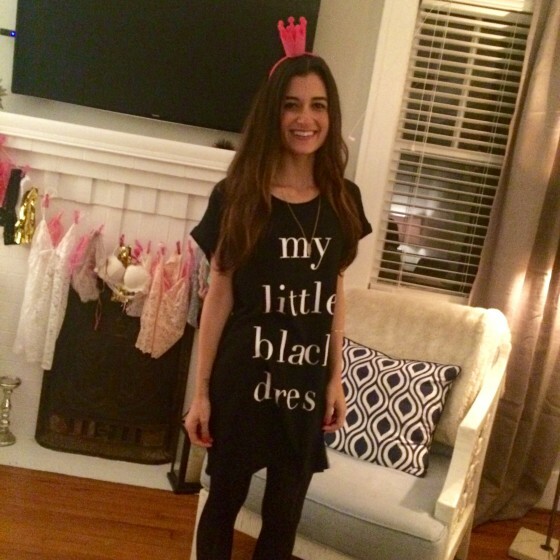 (I also threw in the “husband is the new boyfriend” tee for her to wear post wedding). 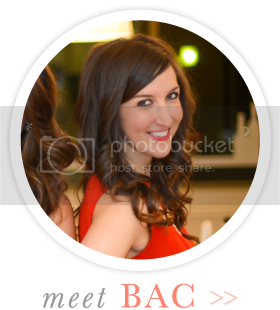 My friend Margaret works for Pure Barre HQ so she put me in touch with the owners of the Charleston studio and we worked to put together a private class for our group on Sunday morning. Bright-eyed and bushy-tailed, everyone wore the “welcome bag” cocktail tees, patterned barre socks, hair ties and last night’s hangovers. After we LTB and tucked to our heart’s content, we enjoyed mimosas at the studio and headed to a much-needed southern brunch. 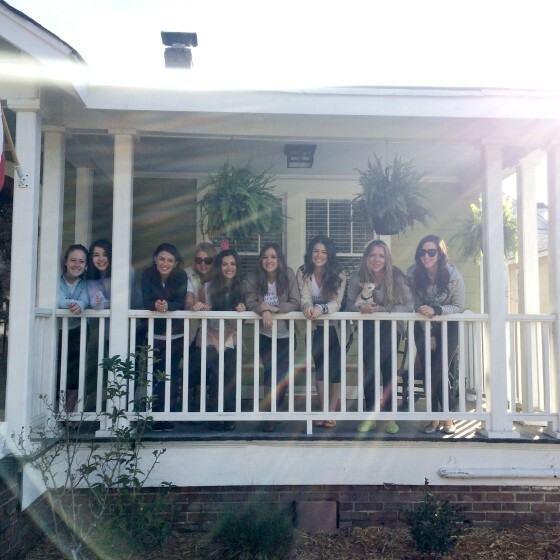 I’m back today with a full recap of my sister’s bachelorette weekend in Charleston, South Carolina. 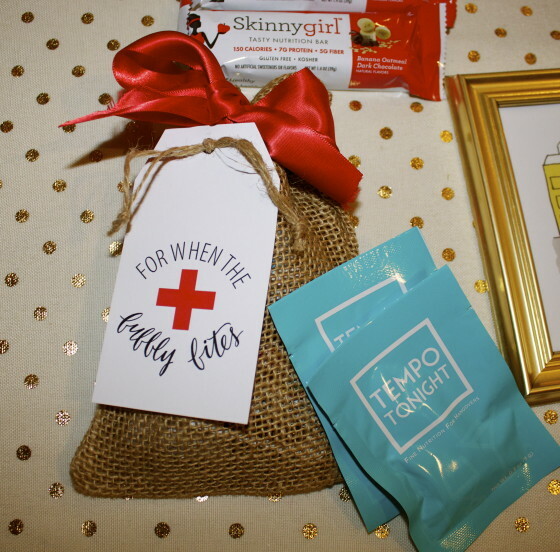 If you didn’t read my first post about the welcome bags + hangover kits, be sure to catch up here. 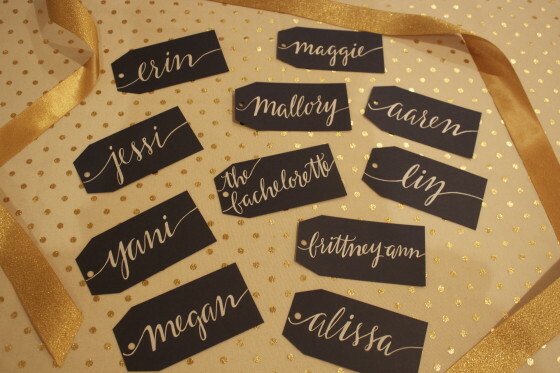 For all my fellow Maid of Honors and bridesmaids out there, I know that the idea of planning the bachelorette weekend for your favorite bride-to-be can often be a little overwhelming especially if you haven’t traveled to the city of choice before or have no event planning or organizational skills (or TIME) whatsoever. Luckily, I had been to Charleston more times than I can count and was so excited when my sister chose the destination. However, for those of you that have not been to the Holy City or might be planning a bach of your own down there (or up for all my southern readers), I hope this guide helps you as I plan to share in two parts all the places we visited and links to all the goodies I incorporated throughout the weekend. Friday: Arrivals + Check into House! Throughout the weekend, my sister received “date cards” (if you will a la The Bachelor) with various surprises revealed one by one. This worked for her because she was the type of bride that did not want to know a thing about the weekend (other than what to pack) and we kept all the planned outings and activities a secret. Believe me, if you know how close my sister and I are and how bad I am at secrets…this was very hard. 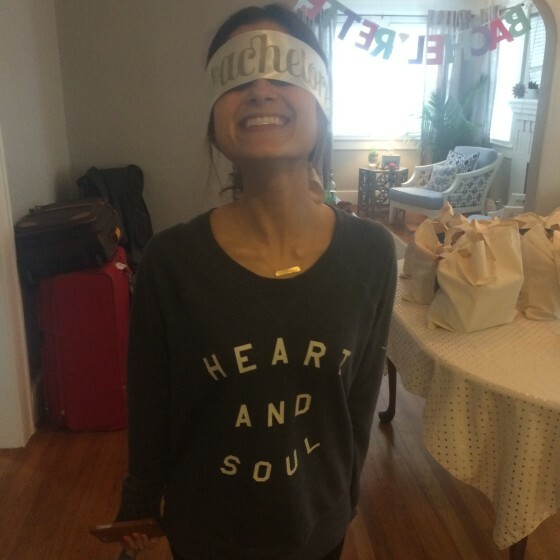 After she opened up her bach welcome bag, we blindfolded her with her sash and let her open the first “date card”. Inside she found a giftcard to The Spa at Belmond Charleston Place from all her bridesmaids and girls attending the weekend. She had a massage booked and we dropped her off for a few hours of pampering while we ran around to the grocery store and other errands to get the house prepped for the evening. This spa afternoon served as a perfect way for the bride to “relax” into the weekend and of course, as a special treat too. The Spa at Belmond Charleston is quite the establishment and comes highly recommended by the bride after her appointment and myself. With the help of one of my sister’s closest friends, Mallory, we decided to have the first night of the weekend be more casual and allow the girls to settle into the house over drinks and delicious food. We cooked up a paper-plate & fork Shrimp Boil (not quite as fancy as my DC one) complete with wine and bubbly. 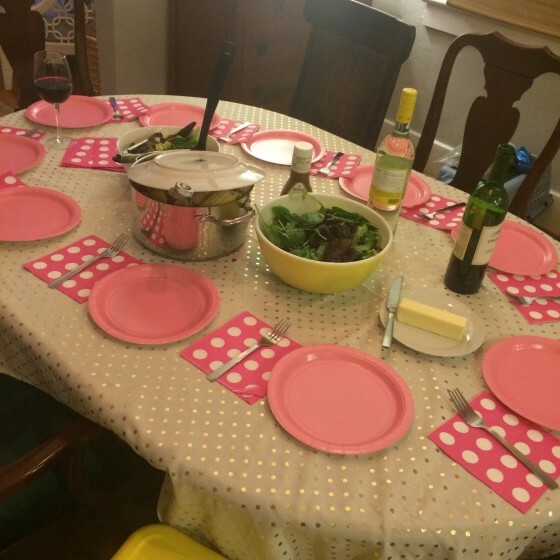 After dinner, I hosted a lingerie shower with dessert, games and yes, bubbly. 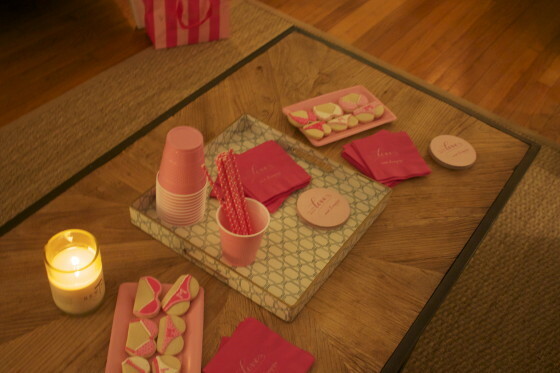 The theme was “All You Need is Love…and Lingerie” so we had appropriate decor to match complete with napkins, coasters, Rewined candles and custom lingerie cookies. We hung up all her pretty new pieces on a tassel banner with pink clothes pins and made her guess who bought what. If you’re looking for a fun, dance-on-the-bar, coyote-ugly type of spot for an evening out, shall I recommend Market Street Saloon. It is not my typical type of hangout or spot while in Charleston but perfect for bach affairs. We had a blast and it allowed for Megan to complete more than one of her “weekend dares” that we set aside for her (sorry, those will always remain secret). After we stopped at a bar around the corner and then to Giovanni’s Pizza, which is all within walking distance. 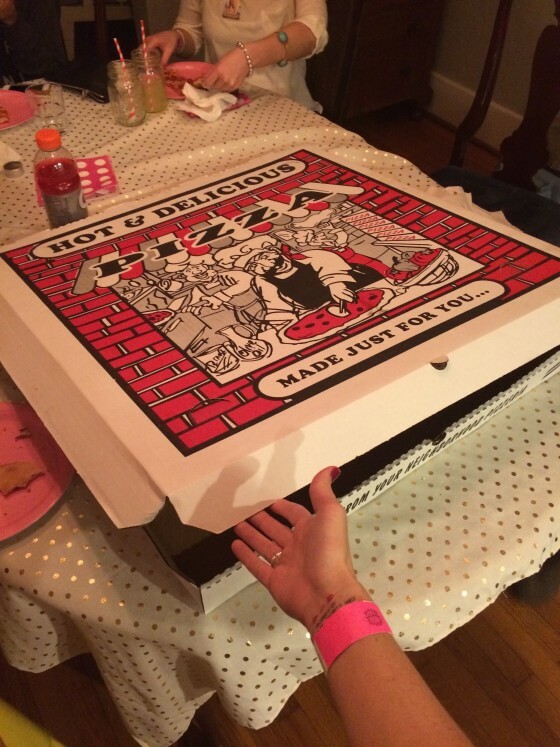 I took the liberty of ordering the largest sized pizza (and slices) I have ever seen in my life. This place was on my bucket list for late-night food in Charleston and it should be on yours too! On Saturday morning, the majority of us woke up with slight Irish flus so I whipped up a homemade brunch for the group. We indulged in diamond donuts, “naughty” fruit skewers, cava mimosas and a few healthy items – to get our day started. As you might of noticed, things on H&T have been a little quiet for the month of February so it’s good to be back! The blogging break wasn’t intended but after spending all my time outside my day job consumed with other projects, events, speaking engagements, barre classes and most importantly, Maid of Honor duties for my sister’s wedding – I decided to take a much needed hiatus so I hope you’ll forgive my silence! The good news is that I have a lot of exciting posts coming up for you. 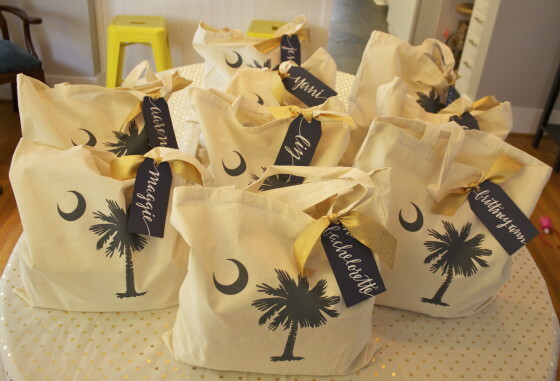 In case you were not following along on Instagram or Twitter – I just recently hosted and planned my sister’s bachelorette weekend in Charleston, South Carolina. 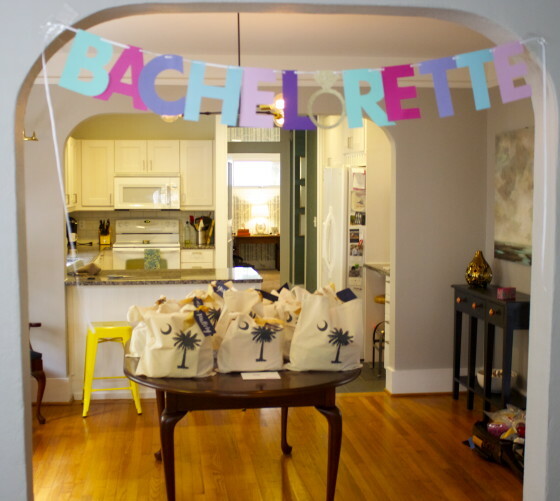 I plan to share in a series of posts all about the weekend with a full recap and how-to if you’re planning a bachelorette weekend of your own and especially one in Charleston! 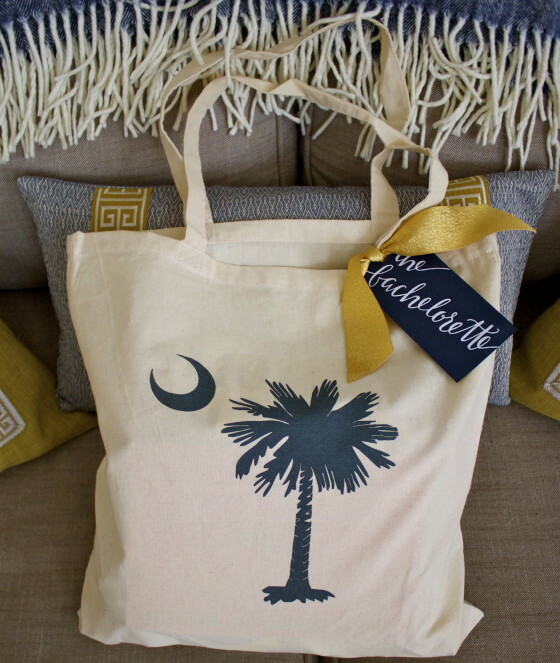 First up, a closer look at the “Welcome to Charleston” bags I put together for all the bridesmaids and best babes that attended. These bags could be assembled to match any bachelorette weekend destination. They might also provide inspiration for wedding welcome bags too. I tried to keep in mind what the girls might need most over the weekend plus a few fun souvenirs to take home. Below you will find links to everything I included in mine! 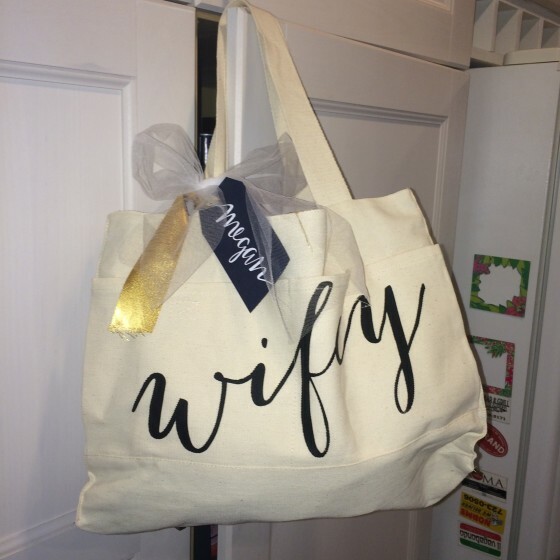 I tied these on to each bag with gold ribbon from Wedding Paper Divas. 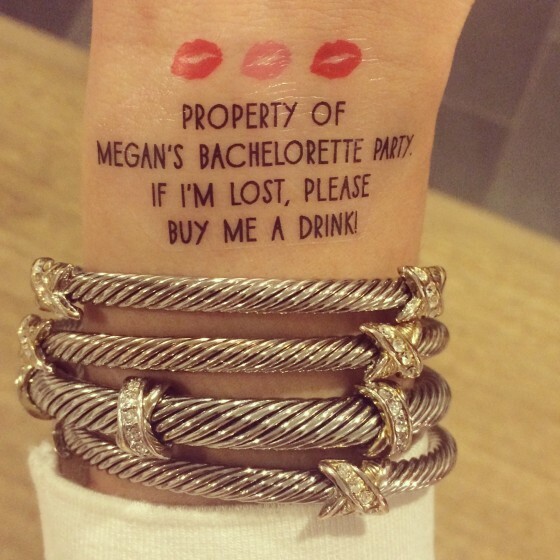 I had them made with each’s girl’s name and then an extra one that read “The Bachelorette” for my sister. Custom H&T “For When the Bubbly Bites” Tags – I love this saying and thought it worked perfectly for a hangover kit so I worked with Dani from Drafts & Crafts to design them. You can buy them too now! I tied the tags onto burlap bags I found at Michael’s with WPD red ribbon. Tempo Tonight – These all natural hangover pills are my newest go-to! You take 2 pills before you have your first drink and two more once you get home. It works proactively against toxins and it’s safe to say that I got the girls hooked on them too after last weekend! Hangovers prevented. Do yourself and your body a favor and order a box now! EOS lip balms – I don’t know about you but I always wake up with the driest lips. Mini Bottle of Tums – for those next-day tummy aches. Mini Nutella Packets – my sister’s favorite and who doesn’t like Nutella? Hungover or not. Tic Tacs – to kill that morning breath. Packets of Advil & Tylenol – pick your poison. With the holidays now behind us and calendars finally starting to slow down, it’s safe to say that I’ve taken a little break from the entertaining myself. However, that certainly does not mean that I have stopped shopping online for inspiration for upcoming Spring get-togethers this year. Today I’m sharing some of my entertaining finds over the past week – have any favorites? Send my way! Sometimes I find myself completely inspired by one item and create an entire party or excuse to host (and toast) – whoops! Happy Friday and to everyone who has a long weekend – enjoy!